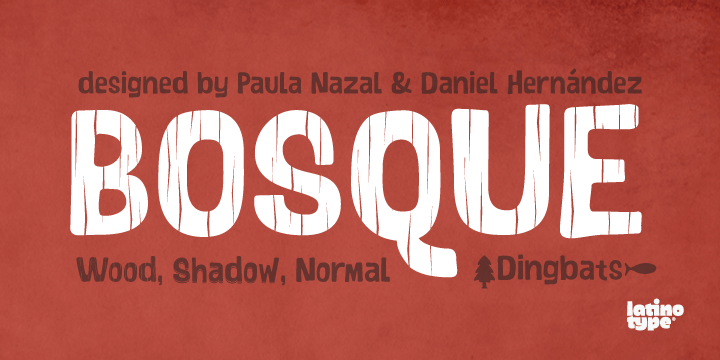 Bosque is a typeface designed by Paula Nazal and Daniel Hernandez. It is a handmade style, it is rough and raw with soft edges. It has 6 variants: Normal, Wood, Shadow, Wood Shadow, Dingbats & Shadow One, this gives it great versatility. 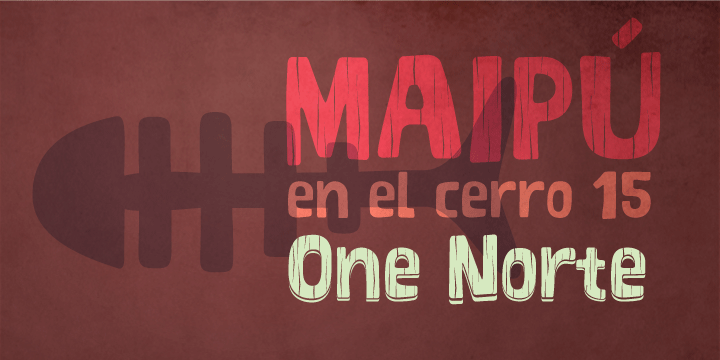 It possess a wide set of characters, ligatures and some alternates.